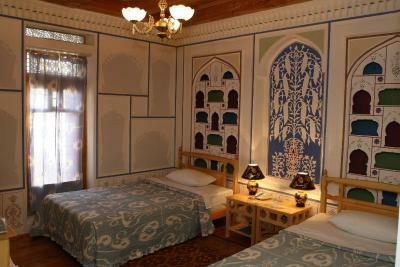 Lock in a great price for Komil Bukhara Boutique Hotel – rated 9.1 by recent guests! I liked the size of the room and the way it was decorated. The bed was comfortable. Great location in a nice historic building and area of town! Really good breakfast. We arrived late to the train station and had arranged for a driver through the property. He was very nice and was a student at the university in town. The hotel was in a good location, on the edge of the old town and was only a few minutes walk to arrive at the main attractions. 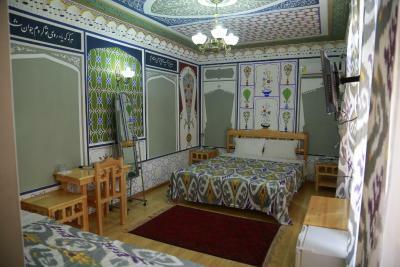 The room was really nice with heated floors throughout, as all evening we had been rained on in Samarkand. The breakfast was very good, lots of variety and selections. The staff was helpful and called for a taxi for us to go back to the train station. Would highly recommend. 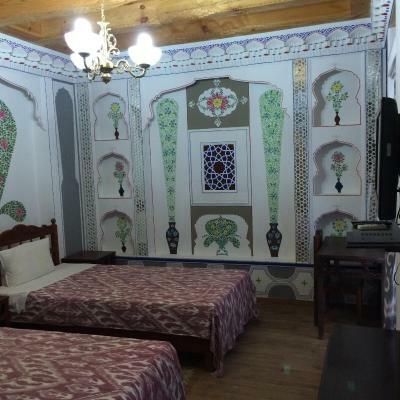 Absolutely charming and quiet hotel in old part of city. Wonderful staff, great space for gathering after sightseeing. Rooms spacious and lovely. Minimal closet space, however. Would definitely stay here again. Dining room spectacular! The staff were very nice, friendly, and speak good english. The building is historic and is being restored. Walking distance to other historic places and shops. 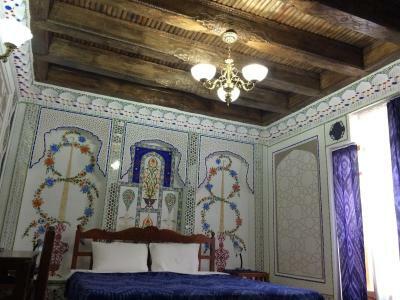 The manager was very accommodating and helpful; the rooms had kept the original architectural design; and the old feel of the place had been kept in tact. The staff is helpful except woman receptionist at our check-in. The staff was very friendly and helpful. Breakfast was great, especially the restaurant is amazingly decorated and its a pleasure to sit there and enjoy breakfast. 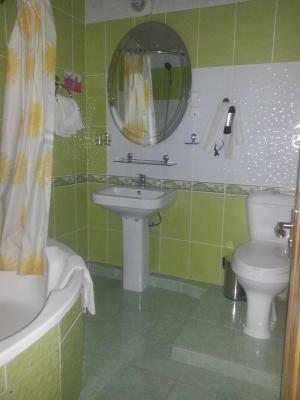 Great location just next to the old town. 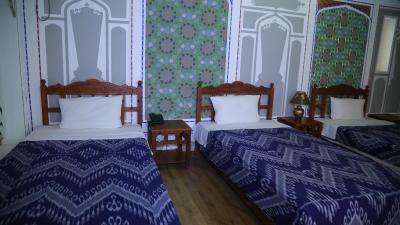 The rooms were spacious, comfortable and clean, the bed was very good and comfortable. 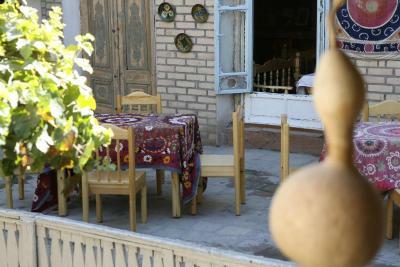 I can recommend this place at all travelers in Bukhara. 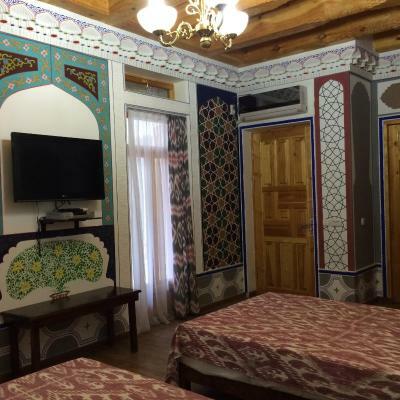 Komil Bukhara Boutique Hotel This rating is a reflection of how the property compares to the industry standard when it comes to price, facilities and services available. It's based on a self-evaluation by the property. Use this rating to help choose your stay! 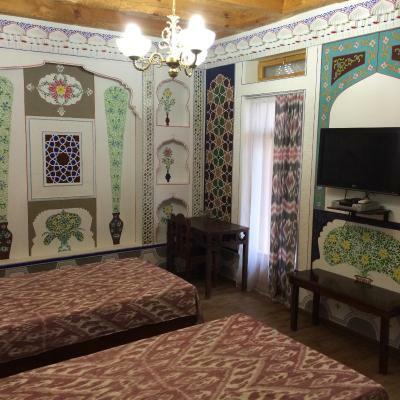 One of our top picks in Bukhara.Featuring free Wi-Fi and the original 19th-century dining room, this hotel is located in Bukhara’s Old Town district, 1,000 feet from Lyab-i-Hauz Square. 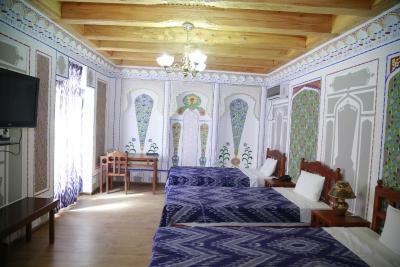 It offers air-conditioned rooms with satellite TV. Each room at Komil Boutique Hotel is decorated in an Oriental style and comes with a mini-bar. Bathrooms have a hairdryer and slippers. 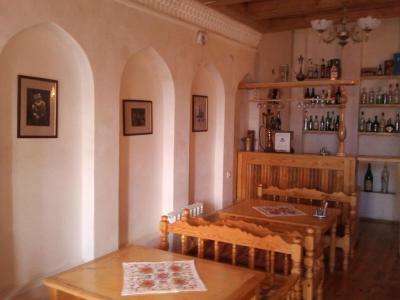 Local cuisine, as well as European dishes are served in the Komil’s restaurant with a traditional design and elegant wooden furniture. A vegetarian menu is also available. 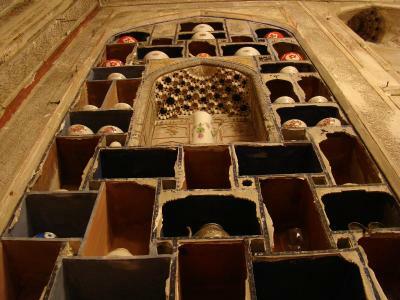 Komil Hotel offers easy access to Bukhara’s main attractions, like the Ark Fortress and Po-i-Kalyan Ensemble, 5 minutes’ drive away. 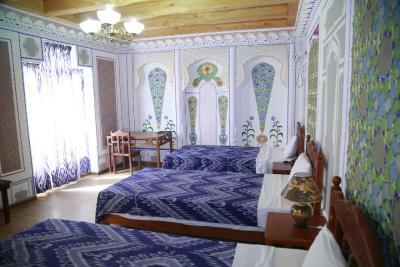 Bukhara Train Station is 17 minutes’ drive from Komil Boutique Hotel, offering a link to Tashkent. 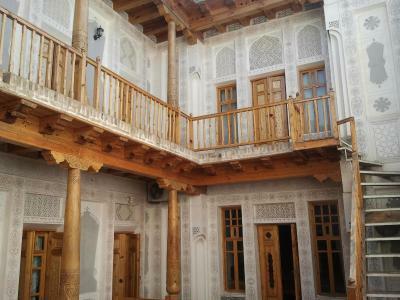 Airport shuttle is available, and Bukhara Airport is 10 minutes’ drive away. 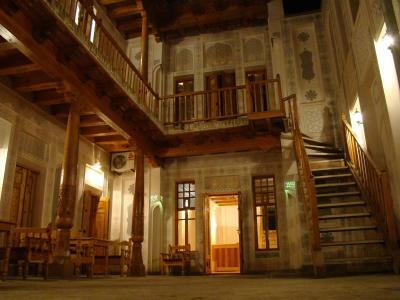 When would you like to stay at Komil Bukhara Boutique Hotel? 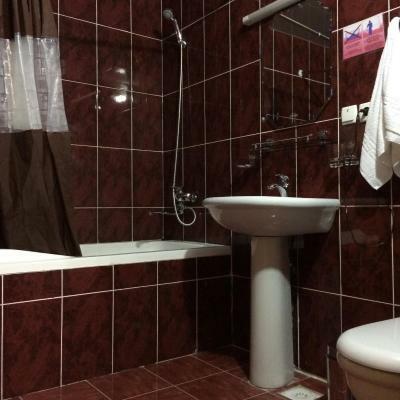 Air-conditioned suite with satellite TV and a private entrance. 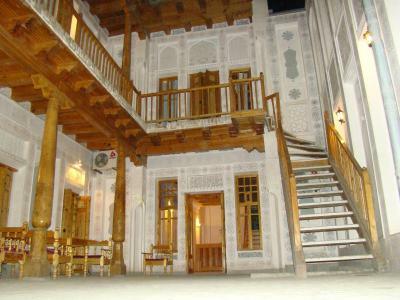 Only Boutique Hotel in Bukhara with original 19th century dining room! 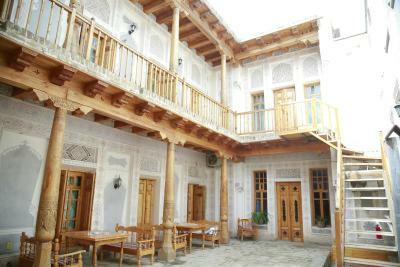 House Rules Komil Bukhara Boutique Hotel takes special requests – add in the next step! All children under 2 years are charged USD 10 per person per night in a crib. Very well located and charming historic place. Very friendly staff. Located on quite street. Good wifi. Good breakfast. Don’t rely too much on the WiFi. As elsewhere, cash only. 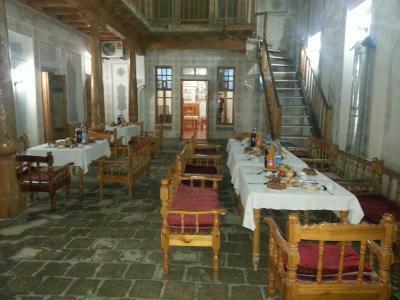 Beautifully restored historical building, especially the breakfast room is impressive. Good breakfast. 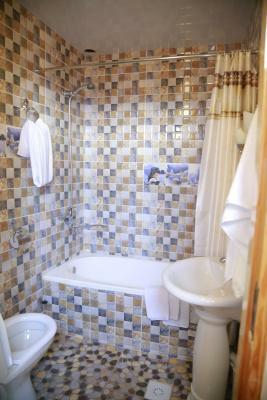 Comfy rooms, quality service. 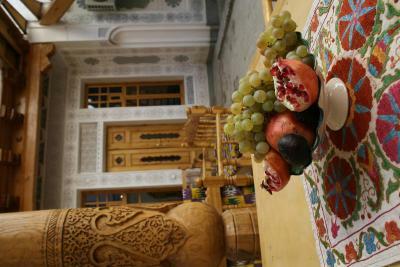 Best hotel breakfast we had in Uzbekistan. Nice staff - especially the manager who was very professional and helpful. 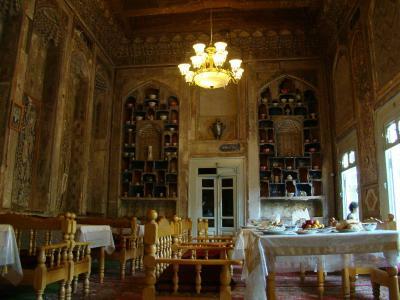 The breakfast room is simply beautiful - photos cannot compare the real thing. Our bedroom was spacious and pleasant. The whole place had such a gorgeous and cute vibe. Loved it! 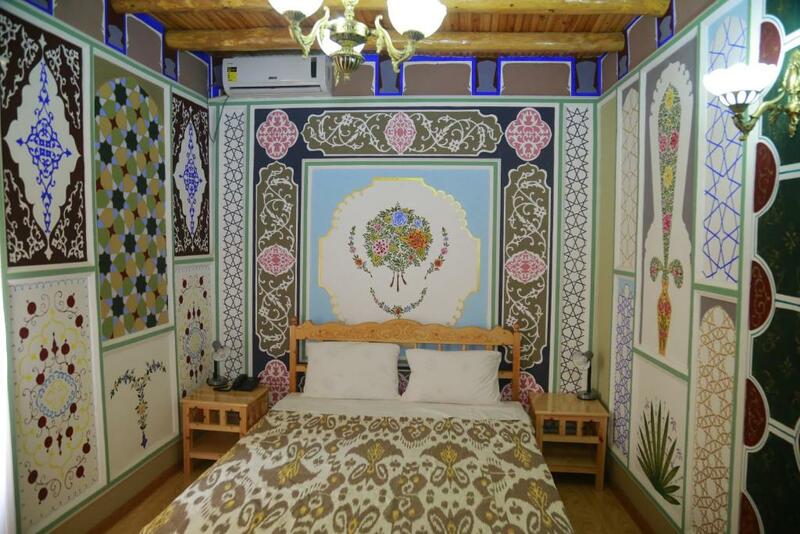 WiFi was a little weak in the rooms and better in the common areas but we found this was pretty normal in hotels in the smaller Uzbek towns. It didn't bother us because we we're always out exploring. I didn’t like the functionality of the bathroom. I had to lift my leg high to use the bathtub and place toilet paper in a tiny wastebin that kept falling over when you pressed to open it. And I didn’t like that it was so hard for a cab to reach it and likewise inside they needed more signage to direct you to your rooms and the breakfast area. I kept getting lost. The staff were very pleasant and helpful and almost all spoke in English which was great. 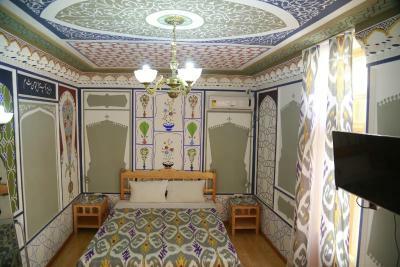 It was a very authentic experience with beautiful rooms. As it rained the outside of the hotel and the road that leads to the main part of the old town was very slippery and muddy which made it difficult to walk and also dangerous ! The character of the hotel is priceless ! The staff is very helpful and attentive. No coffee/ tea amenities in the room. Great location. Friendly staff. Good wifi. Given early check in on arrival at noon. Creativity at breakfast and more importantly staff that uphold the owner manager's values. They are willing to go the extra mile as is he. Location. It was very hard to find the hotel. The access to hotel is through narrow dirt road with lots of pot holes. It rain at night, next day it was mud everywhere. 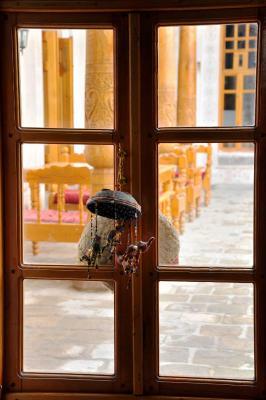 Generally the service given by the staff was very attentive.The building its self had a lot of character and we found our room to be particularly warm and cosy for the cold February days when we were there. The breakfast was all cold. No hot food. Wish it was serving until 11:00. It doesn’t get light until 08:00. Wanted to relax more since it was my vacation holidays. The location is not so far from the center. Interesting surrounded by local houses. 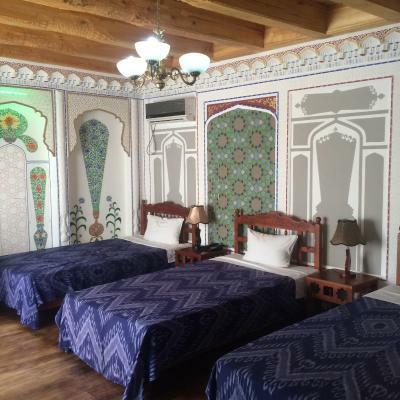 The rooms are all different design with several court yards which is splendid. 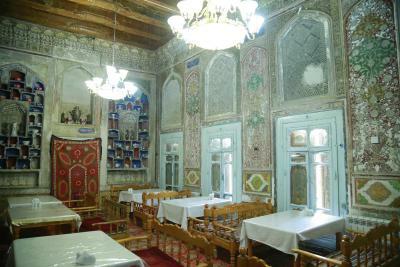 The restaurant is kept original which is just as same as a museum. Wonderful to eat in. Staff asks many awkward questions about your relationship with your travel partner. I traveled with a friend and there were many assumptions made and spoken about. I guess they didn't realize I understood what they were saying? 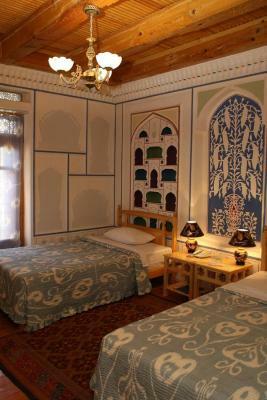 Komil Bukhara Boutique Hotel is stunningly beautiful..and rightly so, with its long heritage and generations of providing guesthouse service. I love the courtyards and the restaurant. I sat there having my breakfast for the longest time - which was a super treat indeed. The bed is comfortable and bathroom immaculately clean. The staff are all so friendly and helpful. My room's floor was a little dusty when i arrived, it may or may not have been empty for a while perhaps. But the staff immediately helped me cleaned and mopped the floor when i informed them, so it's all great.